Have you decided to make the switch from Contact Form 7 to WPForms? As the most beginner friendly contact form plugin on the market today, you can bet WPForms makes importing forms into your WordPress website easy to do. 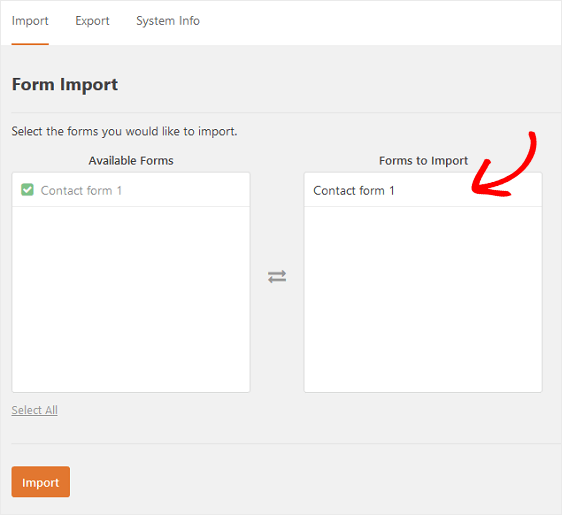 In this article, we’ll show you how to import Contact Form 7 into WPForms in a few simple steps. After you install and activate WPForms, go to WPForms » Tools. On the next screen, you’ll see a section labeled Import from Other Form Plugins. From the dropdown menu, choose which form plugin you’d like to import into WPForms. 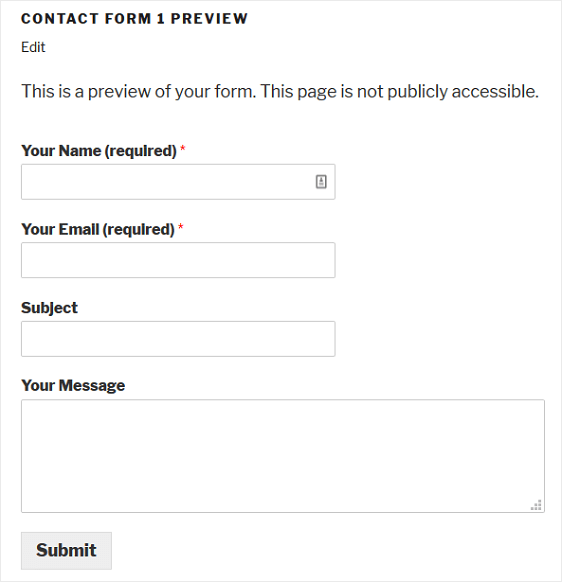 Since this example is about importing Contact Form 7 into WPForms, we’ll choose that from the dropdown. Click Import. 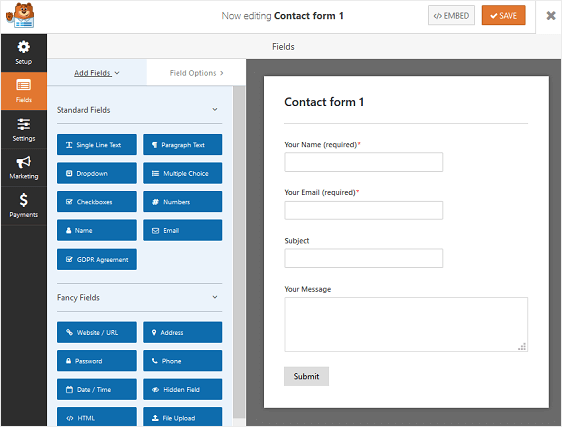 Now you can choose which forms from Contact Form 7 you’d like to import into WPForms. 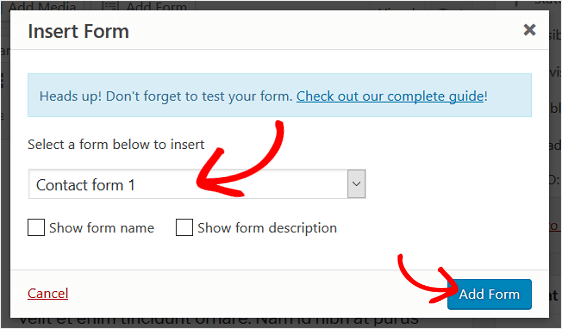 To do this, click on the individual forms in the Available Forms column . If you want to import them all, click Select All. 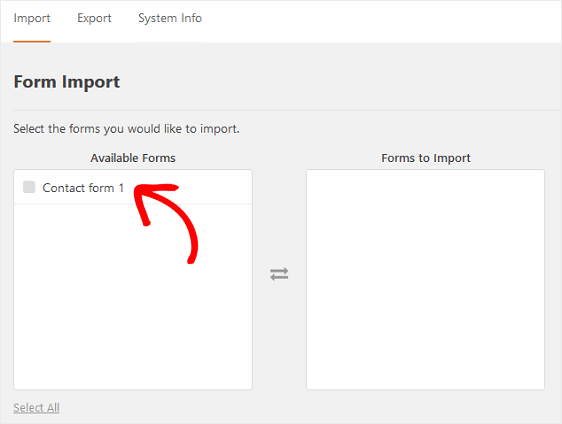 When you click on the form you want to import, it’ll be added to the Forms to Import column. When you’ve selected all the forms you want to import, click Import. If the import was done right, you’ll see a success message. You’ll also see quick links to edit or preview the form. If by chance any of the form fields didn’t import correctly, the importer tool will let you know. The form importer tool will also import all your form notification and confirmation settings. However, it’s always a good idea to read up on setting up form notification emails and how to set up form confirmations in WPForms to make sure these settings are configured exactly the way you want them to be. This is especially true of you want to set up multiple form notifications for your WordPress forms. 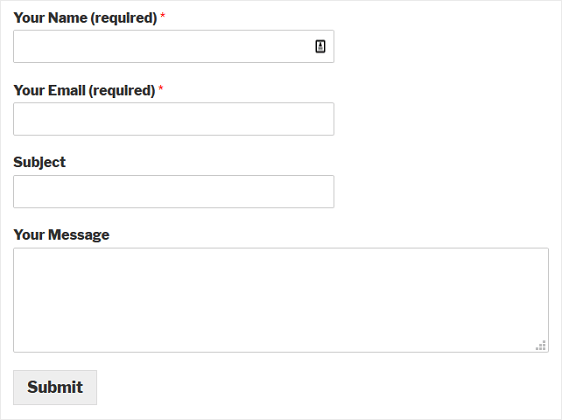 And, if after you’ve imported your Contact Form 7 forms into WPForms you notice you’re not receiving all of your email notifications, be sure to check out how to get WordPress form notifications using the WP Mail SMPT plugin. Lastly, make sure to preview your imported forms before moving on to the next step. Now it’s time to replace your old Contact Form 7 form with your newly imported WPForms form. To do this, go to the place on your website where you old form is embedded. 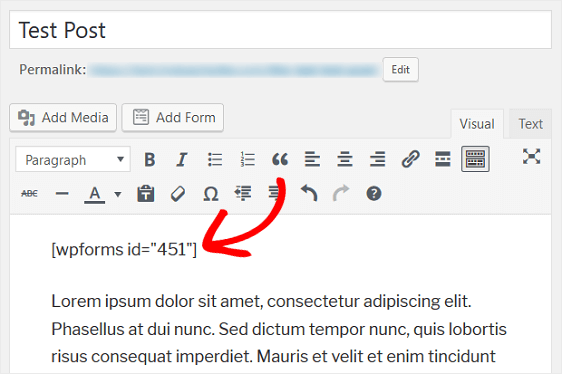 For our example, our old form was embedded on a blog post, so we’ll go to the blog post and open the Page Editor. 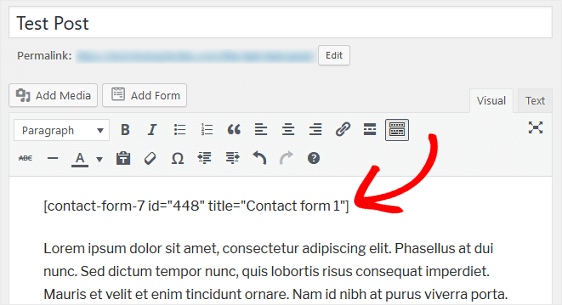 Delete the old shortcode that Contact Form 7 used to display your form on your site. Next, click on the Add Form button and select the imported form you want to add to your website from the dropdown menu. Again, click Add Form. You’ll notice a new shortcode has now been added to the Page Editor. If you want to make changes to this form, all you have to do is go to WPForms » All Forms, and find the form you want to change. Here you can either click on the form name, or hover over the form name and click Edit. This will bring you to the WPForms form builder where you can customize the form in any way you want. When everything looks the way you want it too, update the post or page your old form was on so site visitors can now see your new form. And there you have it! Now you know how to import Contact Form 7 into WPForms. If you’re not sure whether to make the switch from Contact Form 7 to WPForms, be sure to check out this comparison and see for yourself how much easier to use and feature-packed WPForms is when it comes to your email marketing efforts.